Here we are in the dead of winter. There have been blizzards and freezing temperatures all over the place. If you are one of the unfortunate souls that live in a frozen tundra, I’m sorry. I’m located in Kentucky and we enjoy all four seasons, but rarely do we get stuck in any one weather pattern for more than a few weeks. I am use to working around the weather. In the Summer months I watch the forecast for a cool front to move in. The same is true in watching for a warm front in the Winter months. By being aware of our changing weather trends I can plan accordingly. 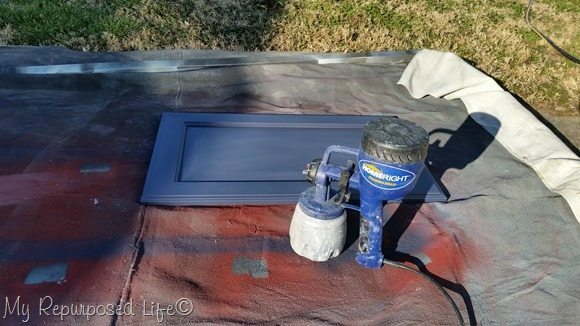 If you have a project that needs painting, chances are you may have a window of opportunity ahead. The key is to be ready! Don’t let a warm front sneak up on you, because as quickly as it comes, it will go. This picture of my Easy Triple Chair Bench was taken on December 11, 2015 when it was a balmy 67° here in Louisville Kentucky! 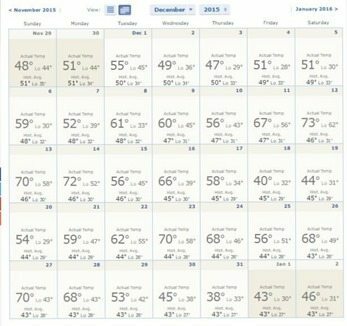 You can see we had some great weather in December! I only wish I could have taken more advantage of it, but December is such a busy month. This work day was on January 7, 2016 when the high was 53°. I was working on a project for a neighbor on January 14, 2016 when it was around 60° for the high. 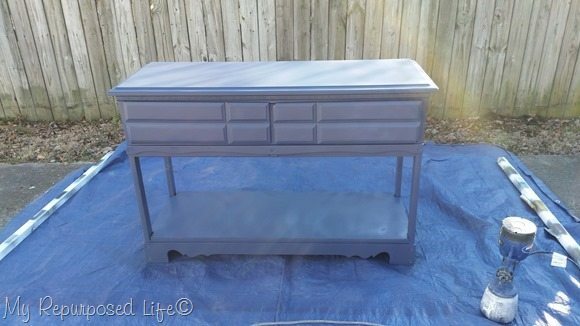 I repurposed a dresser in January. By the time I got around to painting it on January 29, 2016, the temperature was 45° at 4 PM. 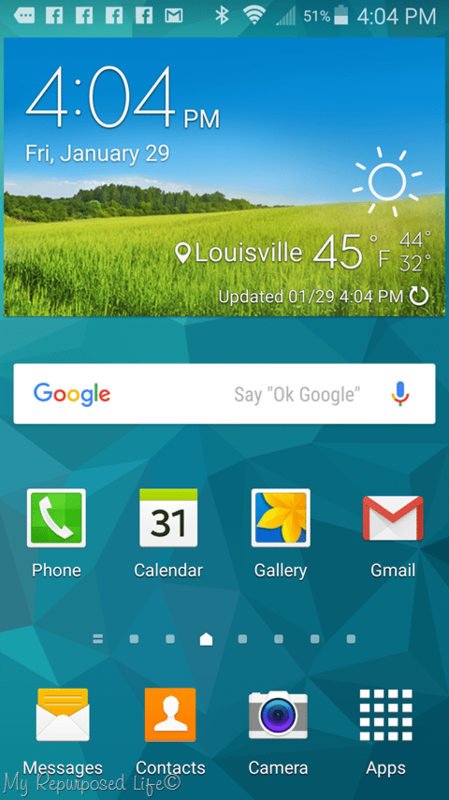 I took this screen capture on my phone to show you the time and temperature. 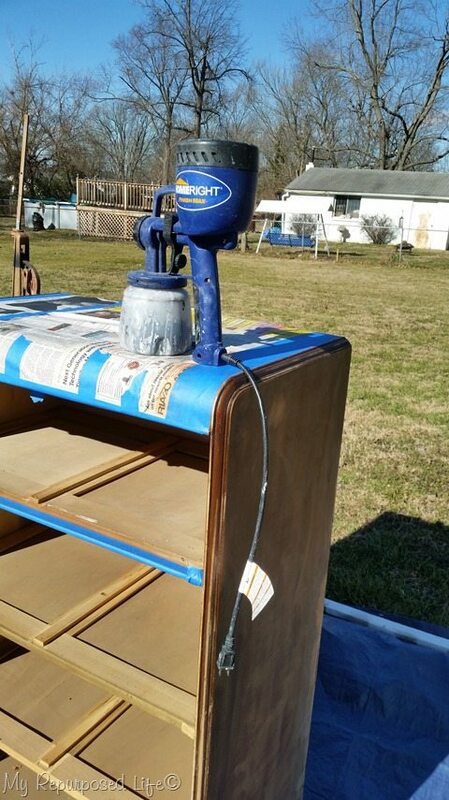 This was on the same day (January 29, 2016) I actually had two sprayers going that day, one with white paint for some 4x4 post caps, and blue paint for the dresser (above). 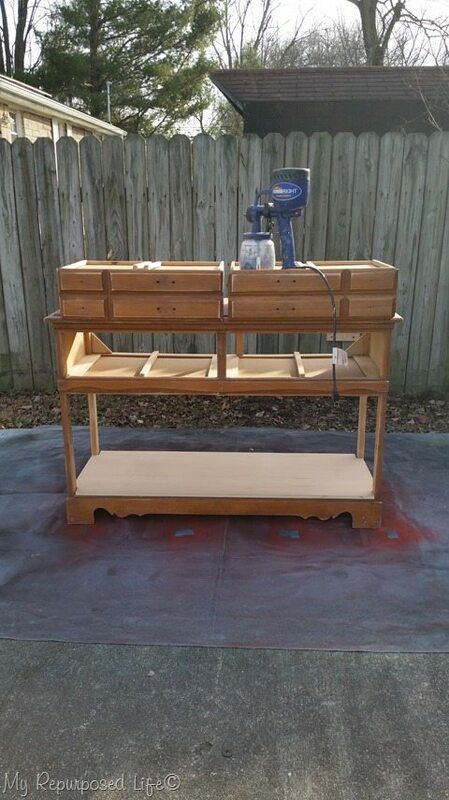 It was on February 3, 2016 with a high of 63° when I used my Homeright Finish Max on this curbed waterfall dresser. 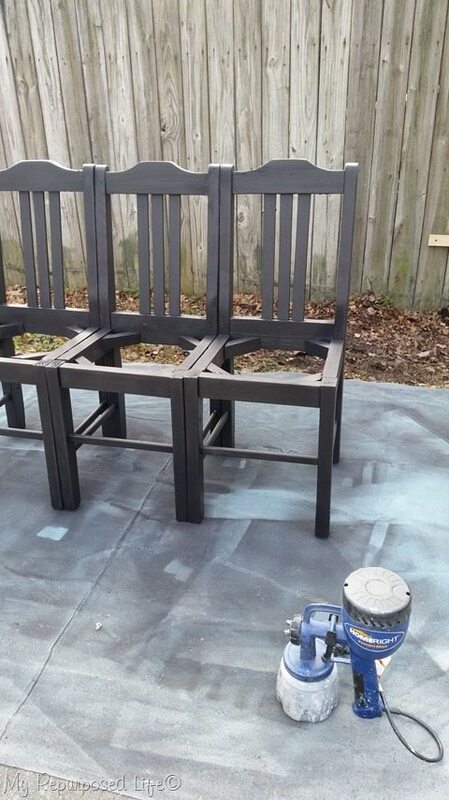 You may be wondering how I can use a paint sprayer to paint furniture in the middle of winter when it’s a mere 45° outside. 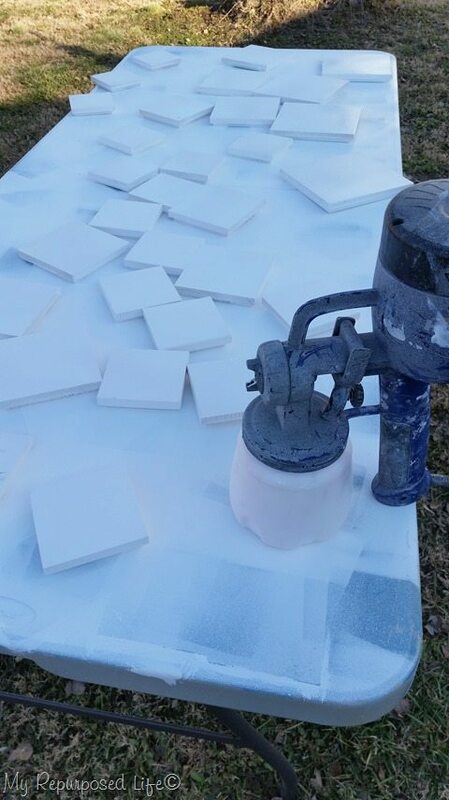 These are my best tips to sneak in some paint spraying when the temperatures are hovering in the mid 40’s and above. Schedule your painting task for the warmest part of the day. Warm your furniture piece in the sun for about an hour before starting. In addition, insure that your paint is warmed either in your home or by the sun. Lastly, place your Finish Max in the sun to allow it to warm up. If you are having a stretch of cloudy weather, I would recommend that you wait until the temperature is above 63°. Again, try to make sure your furniture, paint and sprayer are as warm as possible. Please note that in colder temperatures, paint will take longer to dry and cure. All paints are not the same. Please read the label to see what the manufacturer recommends. 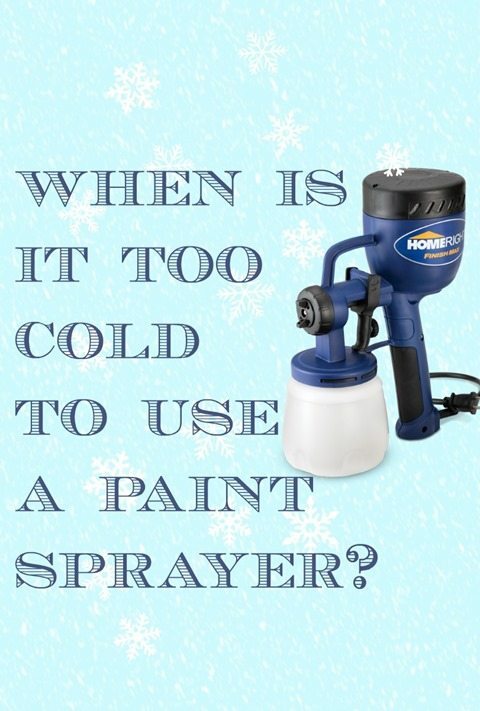 How do you solve your painting problems during the winter months?